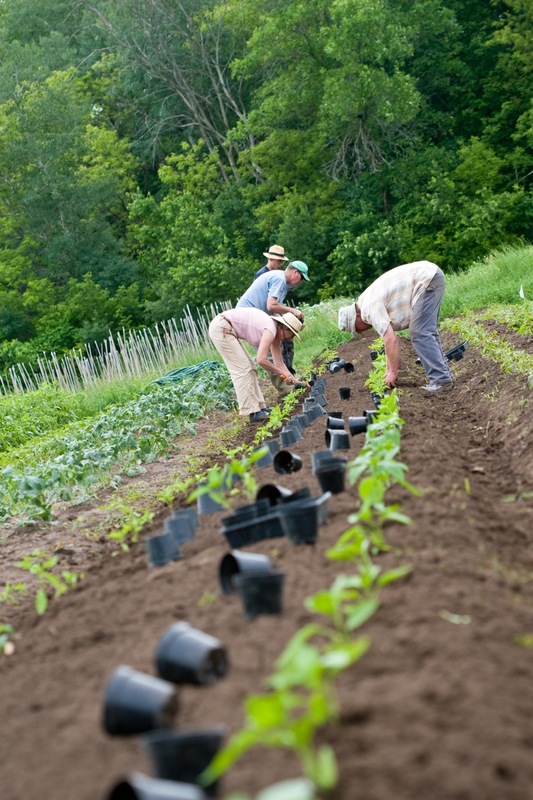 The mission of Philadelphia Community Farm, established in 1989 as a CSA farm and non-profit in Osceola, Wisconsin, is to restore health and vitality to people, animals, plants and the Earth. We view the farm as a whole organism, and seek to nurture a genuine relationship with all aspects of it. Our CSA name derives from the early 20th century, when "Buttermilk Falls Health Retreat" operated on site. The limestone cliffs offer an impression of buttermilk to the creek. The Farm was one of the first Community Supported Agriculture programs in the midwest, and has hosted community education for over 25 years. We are honored to carry on the tradition of biodynamic farming practices, living in community, and providing a site for excellent nature-centered educational programs.